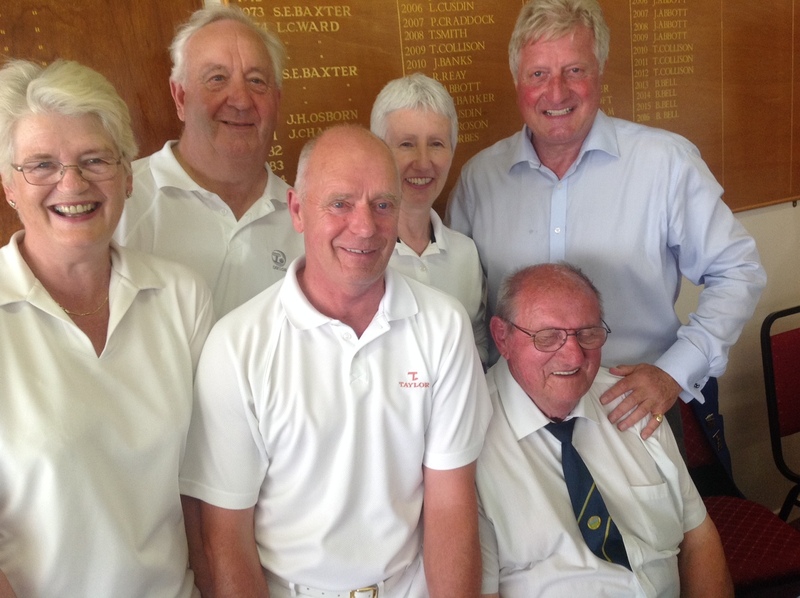 Wednesday 20th July was a monumental one in the history of the Market Overton Bowls Club. Six rinks – 48 bowls plus supporters – meant a very full house. Despite warnings of thunderstorms etc. the weather was glorious and 21 ends proved quite arduous for one or two in the heat. 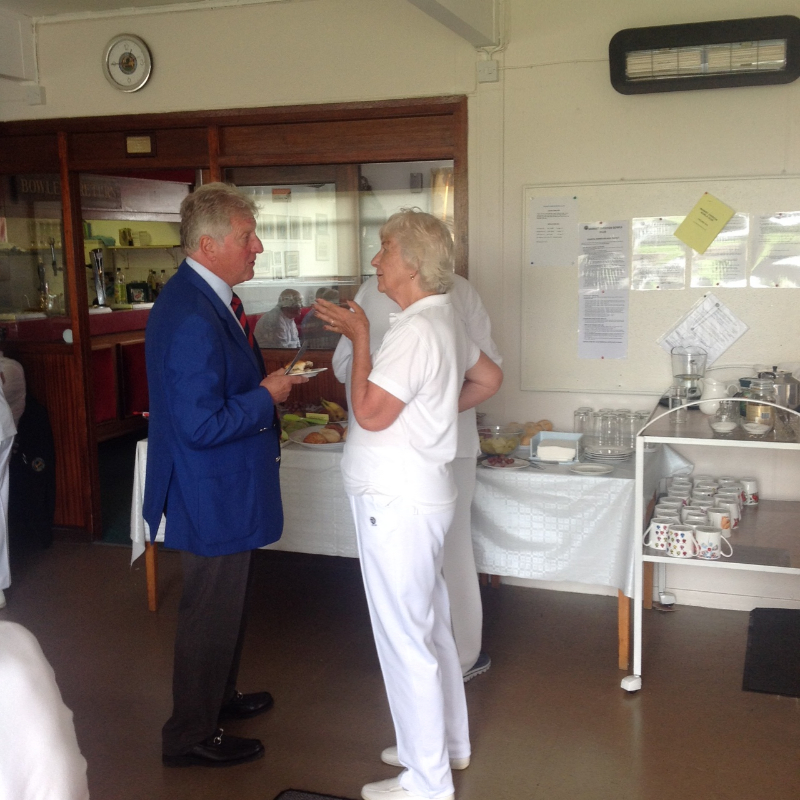 Welcomed at the Market Overton Club by President Syd Forbes, the Friends team were organised by Adie Lloyd from Wiltshire, past President of Bowls England in 2014, and the MARKO bowlers by Club Captain Betty Bell. Bowlers from 14 different counties. 69 applications to play at this small rural club, for Adie to choose from. MARKO had bowlers from their own club plus representatives from Ketton, Greetham, Stamford and Belvoir Vale. 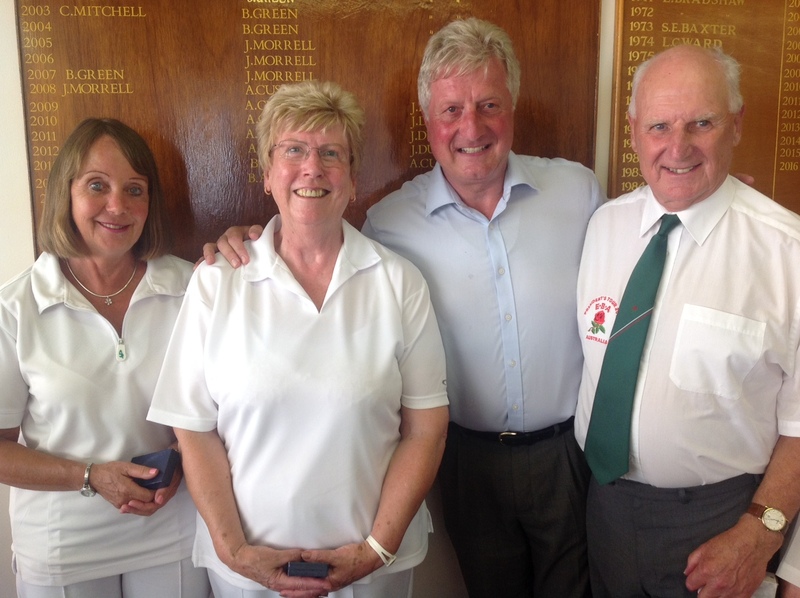 Many Presidents and senior personnel in the bowls world attended; David Ward [President of Bowls Leicestershire], Ann Ward previous Ladies President , Mike Jennings, current President of Bowls England, Bill Smith Vice President, other officers from the Friends group, we just needed a red carpet. A huge thank you to Kath Lloyd who with Tricia Scoley organised the raffle. Glorious camaraderie both on and off the rink preceded by a fabulous buffet before the game and a delicious meal afterwards . 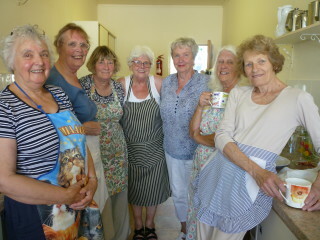 The catering team led by Marge Hart from Melton Mowbray did splendid service. Are we doing it again? Yes indeed! Adie and Club Secretary Annette are on the case!! Driving through the glorious Leicestershire countryside towards England’s smallest County, I was reminiscing about the many times I made this journey when playing County competitions in my ‘home’ County of Leicestershire. 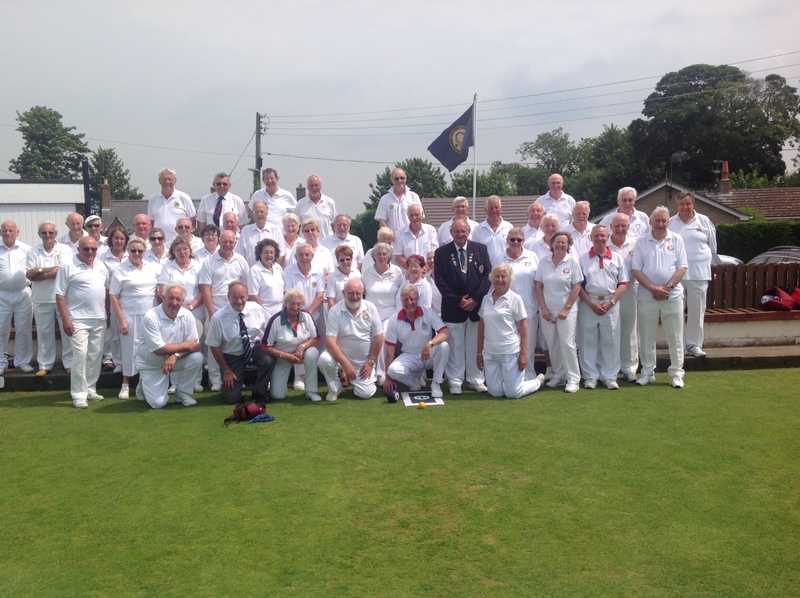 There are a very few Bowls England affiliated clubs in Rutland -Market Overton BC being one of them. 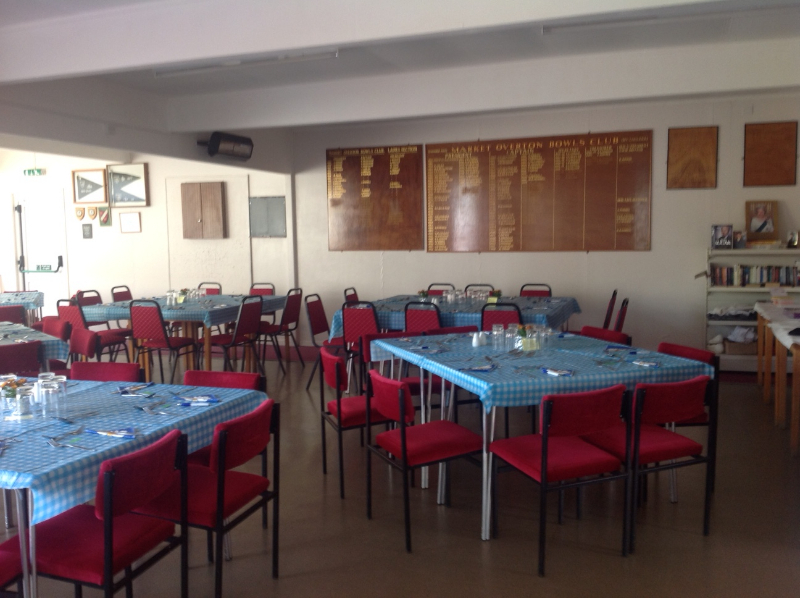 The club has made great progress in recent years; running membership recruitment sessions, applying and receiving all the necessary funding to build a new disabled toilet facility and in 2015 bringing honour to the club by bringing home the Bowls Leicestershire County Women’s Pairs title. The welcome by the club was indeed a warm one. My car temperature gauge recorded 27.5⁰ - Phew. Market Overton is quintessentially an English Village and has a bowling green to enhance. 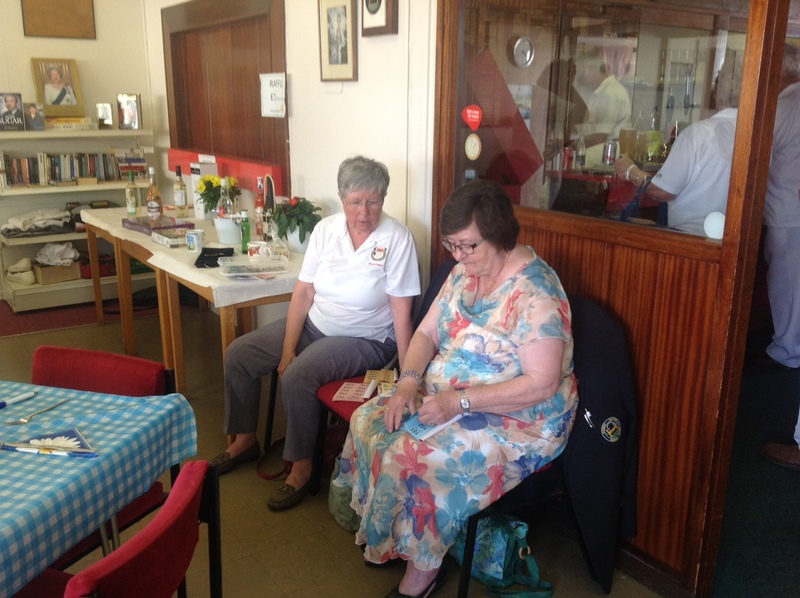 It was clear that the club, led by their hard working secretary Annette Oliver, had really made a special effort. The buffet lunch was absolutely superb. A raffle raised £208.00 for the Club and everyone was delighted to support this small but efficiently-run friendly club with their super facilities. The match was indeed ‘friendly’ and although The Friends recorded a victory, everyone was a winner. Exhausted,we returned home but content that we had all enjoyed a lovely day in Market Overton. On behalf of ‘The Friends’ sincere thanks to the club for a super day. Tony & Annette putting the world to rights - dogs and bowls!